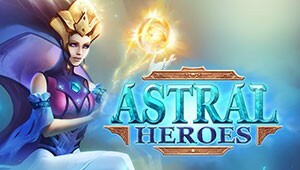 Welcome to the Astral Heroes League! The tournament will consist of a group stage and a grand final. The format of the group stage: each with each, Fix5 (exactly 5 games with each opponent). the second places of the groups play the match for the 3rd place up to 5 BO9 wins (up to 5 wins of one of the players) .. Registration is open until January 27, 2019 20:00 Moscow Time. Start of the group stage: from January 28 to February 11, 2019. until 21:00 Moscow time. Scoring: 1 victory in the meeting = 1 point. The winner is the one who will score the most points. Seating allocation: If 2 or more players have scored the same number of points, then the player who won the personal meeting will be higher. Design of games: To complete the game, you need to go to the "My Games" tab, select an opponent, enter an account and add screenshots (to select all the screenshots one at a time, you need to hold down the Ctrl key). When you design the game, you need to select a screenshot of the outcome of the fights as the file, where you can see who won. The screenshot is made with the F12 button, after which it will be saved in the folder with the game. Screenshots are mandatory, without them games will not be counted! The game can be played by any of the participants in the meeting, but if the winner decides, the loser must confirm his defeat also in the "My Games" tab. 1. After the end of the league, inactive players, who have played less than 50% of the meetings, will receive technical defeats with a score of 0-5 in all games, including played games. 2. If both players have played more, or 50% of the meetings, then those with a score of 3-0 receive the one who has played at least 2 games more. 3. If both players have played more, or 50% of the meetings, then the one with the score 1-0 gets the one who is played for 1 game more. 4. If both players have the same number of games, then both will be reciprocally defeated with a score of 0-0.